I want upload fresh apps every day. 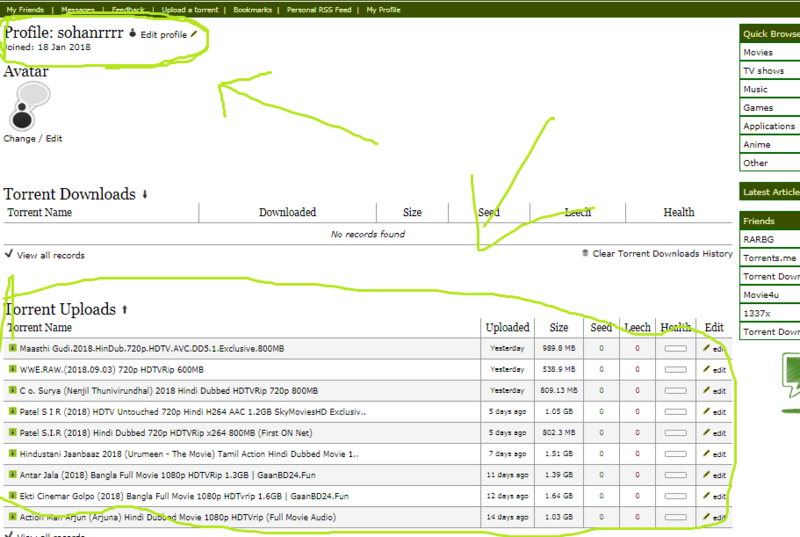 Here is my profiles in other major torrent sites. Looking forward to share my stuffs here. I gave answer to your earlier request and why! Now your banned from forums. I upload my own HEVC x265 encodes on 1337x and I would like to share them here as well. I uploaded more than 5.3TB on desitorrents. Please approve me as Uploader, thanks!! Hi ETTV team,I upload my own HEVC x265 encodes on 1337x and I would like to share them here as well. I uploaded more than 5.3TB on desitorrents.https://1337x.to/user/Bandi1990/https://desitorrents.tv/user.php?id=31149Please approve me as Uploader, thanks!! Logged into TPB, show no sujako user. hi guys i am an active verified uploader on http://bwt.pw/ as MoviesKiller. Please provide us an uploader status. Hi, Here is my profile.https://x1337x.se/user/Piper/hi guys i am an active verified uploader on http://bwt.pw/ as MoviesKiller. Please provide us an uploader status. So Pls Grant me Uploader Account . I am Sports and TV content uploader.I upload once in a while. I own everything i upload. Hi , i would like to Upload Exclusive Movies & Shows and i am an existing uploader @ 1337x.tohttps://x1337x.se/user/Phenomenal/So Pls Grant me Uploader Account . We don't care about all your acct. links in which at least half of them are not current! So edit your post with acct link that is current and then we'll have a look see.